Senses deadly levels of CO triggering your alarm, letting you get out safe & notifying our central station. We recommend placing these in near each sleeping area in your home. This will ensure everyone hears the internal siren in the event of an emergency. You can also optionally install a CO detector in close proximity to a garage to prevent deadly CO levels from a running car as exhaust gasses can spread quickly into your home. In order to protect against this silent killer place 1 CO detector near each sleeping area. Ideal placement would be a common area with one or more adjacent bedrooms. 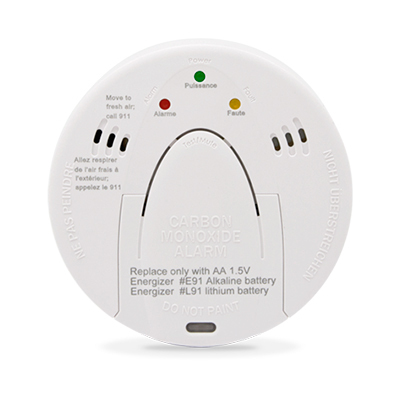 To ensure that you have no false alarms we recommend you DO NOT place CO detectors in close proximity to any fuel-burning appliance or in excessively humid areas such as a bathroom. Unsure where you should place yours? Give us a call and we will advise you on best placements for your home.